Asphalt shingles remain the dominant residential roofing option in North America, and you can also find them on roofs in scores of countries around the world. Regardless of the style or color, they are all manufactured in pretty much the same way, involving a short list of key raw materials. Thin fiberglass mats made from glass fibers of a specific length and diameter are bound together with the help of stable resins and binders. They are used to reinforce asphalt roofing shingles. This fiberglass adds weather protection, greater fire resistance and a longer lifespan to the roofing material. This is the main water-resistant ingredient and holds the granules on the shingle. The asphalt used is an end-product of oil refining and somewhat similar in origin to road asphalt, although it is processed to a higher degree of toughness through oxidation to stand up to the elements. This process involves precisely blowing air through the hot asphalt to increase its viscosity. A fine mineral powder is also mixed with the asphalt for better weather resistance and to enable each shingle layer to meet the standards for fire resistance. The stone granule surfacing is the most visible aspect of asphalt roofing shingles. These mineral granules are processed into a variety of colors via ceramic firing to help reflect the sun’s rays while adding beauty and style to the roof. 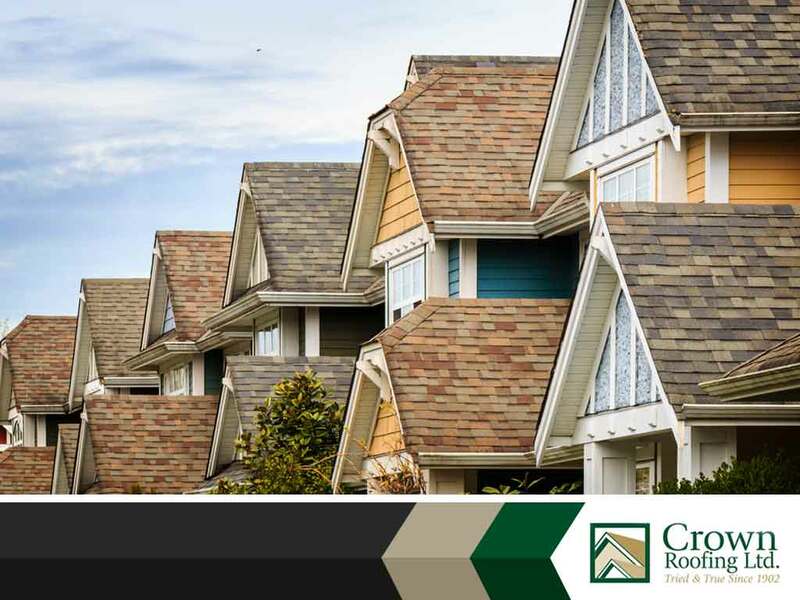 Crown Roofing is a certified GAF Master Elite® roofing contractor, which places us in the top 3% of roofing contractors in North America and enables us to install only the highest-quality asphalt shingle roofs across Vancouver and the surrounding areas. We are your go-to experts for roof repair and maintenance. Call us today at (604) 210-6655, or fill out our contact form to get started with a FREE estimate. We serve Surrey and Vancouver.